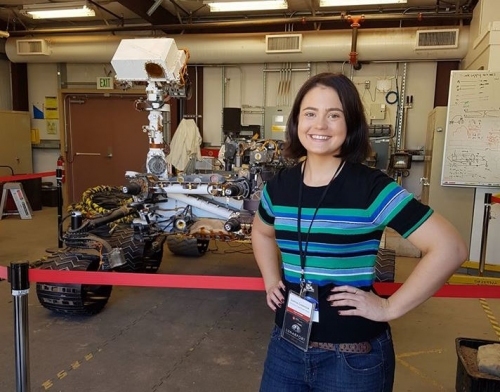 Sophia Casanova, a PHD research student from University of NSW started her 4 month tenure to NASA's Jet Propulsion Laboratory in California (USA) from May 2018. Sophia was elected to the NSSA Board of Directors in late 2016. Sophia has degree in geology from University of Sydney and recently worked 5 years for Santos Australia as a field geologist. Sophia's area of research is 'Off-earth mining' and her trip to NSA JPL and will help her research into refining these techniques to planets such Mars.